Preet Bharara, the aide to Senator Schumer-turned federal prosecutor whose insider trading and public corruption cases were frequently rejected or reversed by higher courts, is calling on Amazon CEO Jeff Bezos to silence President Trump. In a tweet that went viral (garnering more than 20,000 retweets and more than 85,000 likes, at this writing), Mr. Bharara wrote, "What if Jeff Bezos bought Twitter with the change in his pocket and shut Trump's account?" the drama between Bezos and Trump is probably the single hottest and most undercovered story in all of Washington right now. For earlier coverage at FutureOfCapitalism, see here and here. I've framed it as "the federal government is just about the only institution in American life at this point that is powerful enough to challenge Amazon," but it may be that Jeff Bezos is about the only institution in American life at this point that is powerful enough to challenge President Trump. Whatever side one prefers in that fight, it's just a newsworthy conflict. Why might Mr. Bharara have a particular interest in this one? Everyone knows he was fired by Mr. Trump from his job as U.S. attorney for the Southern District of New York. What is less widely known or remembered is that Mr. Bharara reportedly made more than $1 million when his brother Vinit Bharara's company, Quidsi, was acquired by Amazon for $545 million in a deal announced in 2010. 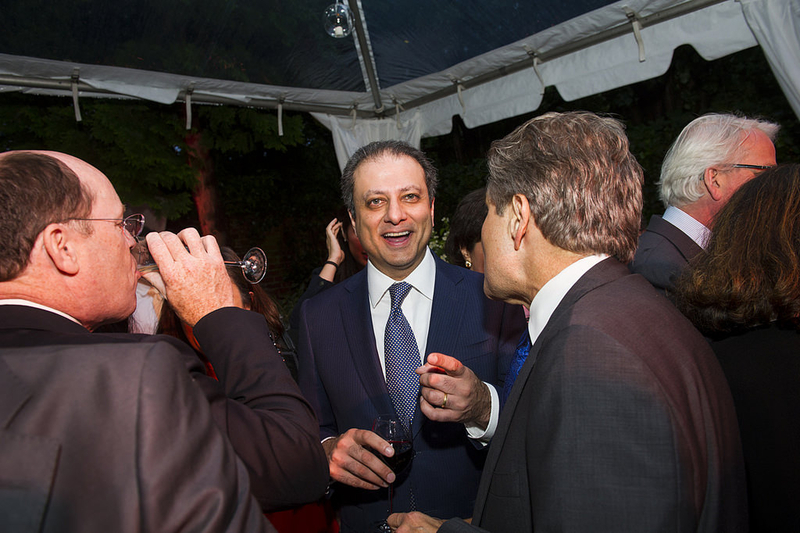 Preet Bharara had stock in his brother's company. So the Bhararas and Bezos have a back story that involves Bezos buying things and eventually (as he did with Quidsi's Diapers.com site) shutting them down.